Although influential in his own day, Karl Leonhard Reinhold's contribution to late 18th and early 19th century thought has long been overshadowed by the towering presence of Immanuel Kant, the thinker whose ideas he helped to interpret and disseminate. Today, however, a more nuanced understanding of Reinhold's contribution to post-Kantian thought is emerging. Apart from his exposition of Kant's critical philosophy, which played a significant role in the development of German idealism, Reinhold's role in the intellectual movement of Enlightenment and his contributions to early linguistic philosophy are now receiving scholarly attention. In the English-speaking world, where few translations of his work have been attempted, Reinhold has mostly been overlooked. 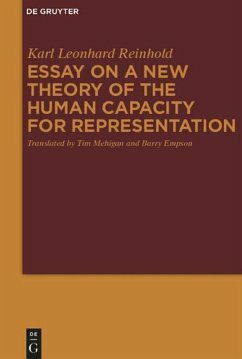 This imbalance is corrected in the present work: the first translation into English of Reinhold's major work of philosophy, the New Theory of the Human Capacity for Representation (1789). 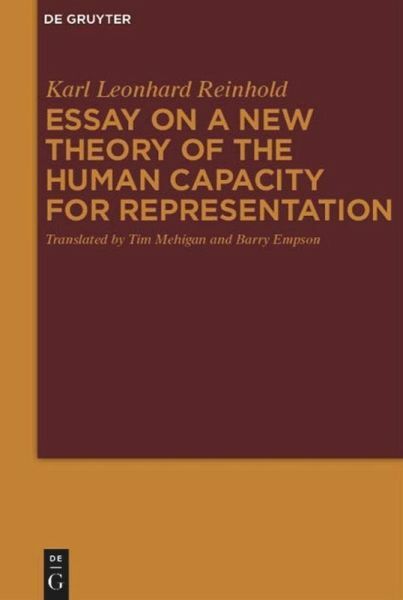 The translators provide an overview of the main currents of thought which informed Reinhold's philosophical project, as well as notes on his reading of Kant and other important thinkers of Reinhold's day. A glossary of key terms, a bibliography of scholarly work on Reinhold and suggestions for further reading are also included. Tim Mehigan and Barry Empson, University of Otago, Dunedin, New Zealand.